What does it really mean to be a humble servant? When there is a job to be done, how can you spot encouragers? 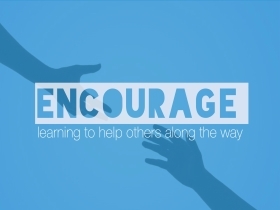 Pastor Waggoner discusses this and helps us come to the conclusion that WE need to be the encouragers! Pastor Waggoner continues the series by discussing the characteristics of a “Stand By Me” man and how we can put that into practice. In this new study we will learn how to be an encouragement to others as we look at Barnabas and his actions.